A sterling silver snake chain that will complement a pretty silver pendant, or perfect worn singly. 16/40.5cm long. 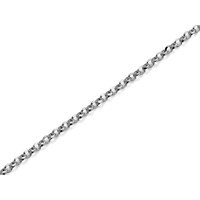 A traditional anchor chain for this 1.5mm x 16/41cm silver chain. An interesting chain type that could be worn singly, or select a pendant of your choice from our extensive collection making this jewellery piece special and entirely your own design. 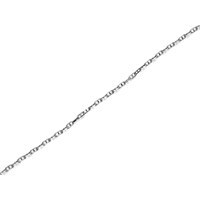 A fine belcher chain 16in/40cm long, perfect for lighter weight pendants. A fine belcher chain 16in/41cm long suitable for lighterweight pendants. Buy Gold, Silver Jewellery at low prices with the UJO price comparison site.